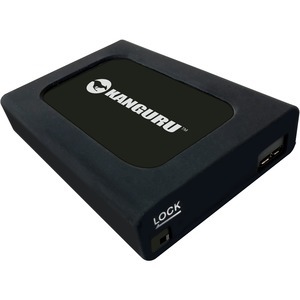 The TAA Compliant Kanguru UltraLock™ USB 3.0 Solid State Drive has a generous amount of data storage and features a convenient physical write protect switch to toggle between read/write and read-only mode. It is an ideal data storage solution for government and mobile users accessing multiple installations. By locking the drive, files can be read from the drive without the risk of contracting a virus or malware from the host computer, and it prevents the danger of overwriting important files. This provides peace of mind to work safely on any computer the UltraLock is connected to. Students, travelers and researchers alike will also appreciate the ability to read files on any school, library or hotel workstation without worrying about being infected by malware that could be lurking on a public computer.